The 3rd Build Day for the portable charger, Fall 2017. 1st Official Build Day for the portable charge, Fall 2017. The original picnic table style charger built in 2016. Full team working hard on the 3rd build Day for the portable charger, Fall 2017. Calculations for the portable charger, Fall 2017. Amelia is a senior in environmental engineering. She has been a member of ESW for four years. This is her second year on the e-board as well as being a project leader. Andrea is a senior in civil engineering. She has also been a member of ESW for four years. This is her second year as a project leader. This has been their second year as co-leaders. Amelia and Andrea are also roommates and best friends. 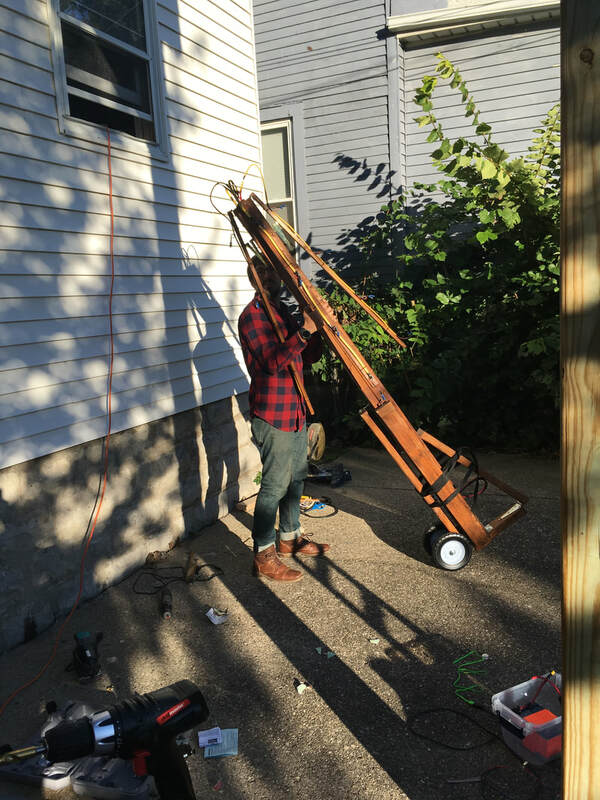 The Solar Charging Station project was first started in 2015 by members Matt Klimek, Matt Kaiser, and Lucas Gordon. 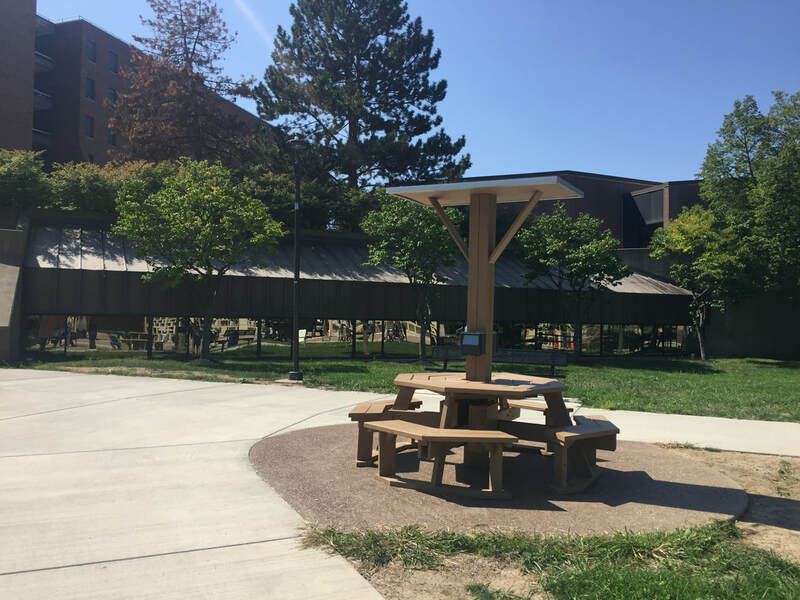 The goal was to create a table where students could charge phones and laptops via solar energy, as well as sit and enjoy the outside. 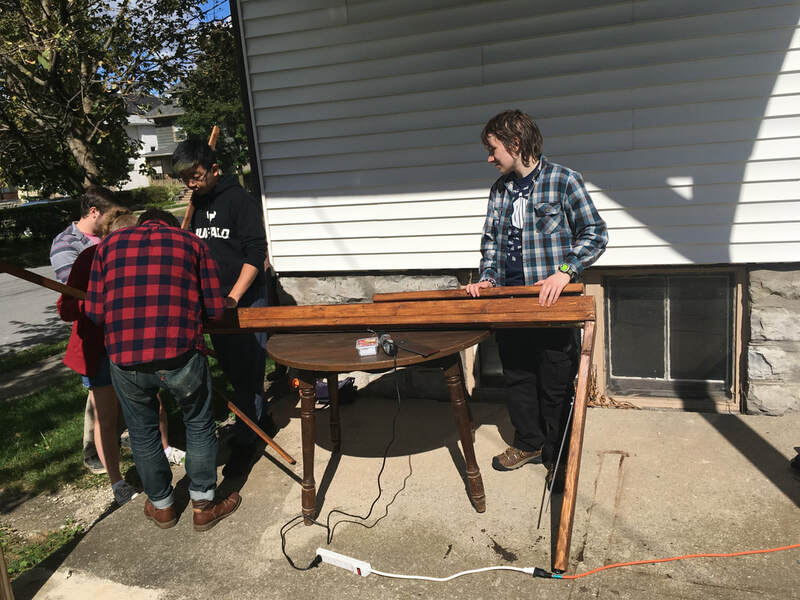 They finished building the original, picnic table style charger in the spring of 2016 and competed in the 5th annual NYSP2I student competition. After the completion of the first build, Amelia Veitch and Andrea Oaks took over the project. They were tasked with improving and maintaining the original charger, as well as creating a new path for the project. After meeting as team, the group decided to address the faults of the old charger. They opted for a portable, umbrella version. The group was funded through the Directed Energy Program in the spring of 2017 and will complete the build in the fall of 2017. Currently, the group is looking into competitions to enter the charger into, as well as potentially making a 2.0 version of the portable one.